I love this pop of colour in my dining room. As you know, I love collecting royal memorabilia, especially old tins in pastel shades. However this year, I’ve also started to collect tins in bolder shades of red. 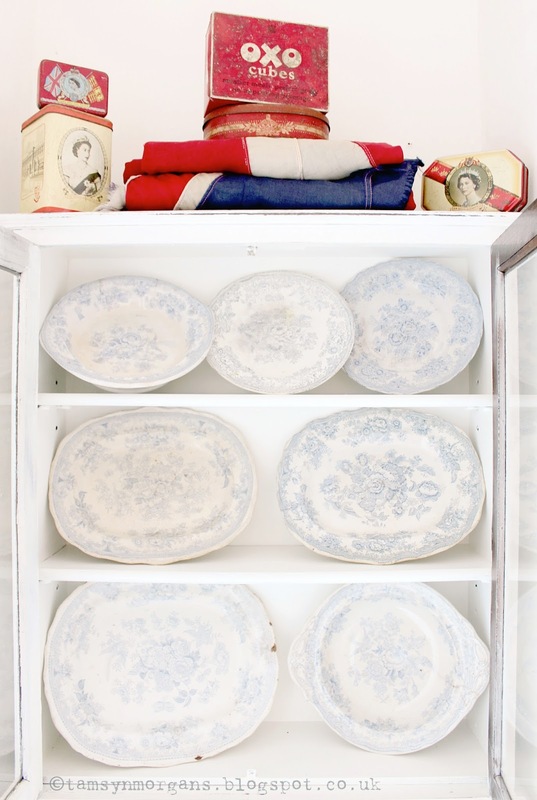 I love this little collection sat atop this glazed cabinet – especially with my collection of vintage blue and white floral platters underneath. It shouldn’t all work together but somehow it does!